The MXP 22 combination oven from Amana Commercial Products combines three different heating mechanisms in one efficient and versatile product. 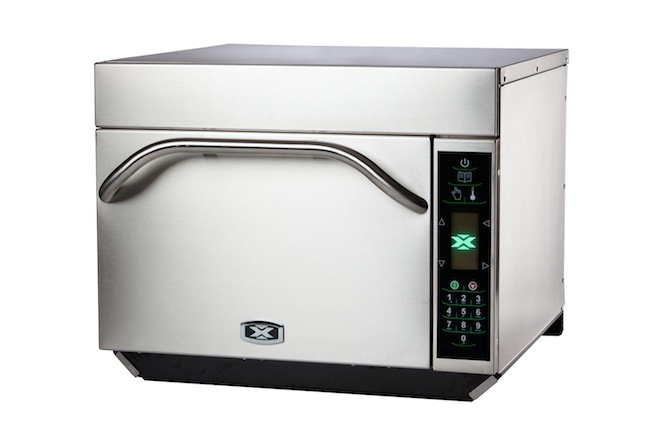 The MXP 22 oven uses microwave, infrared and convection heating elements for ventless cooking. Which means there’s no need for a costly ventilation hood; the catalytic convertor filters grease and odors from the air. The MXP 22 gives you the freedom to cook a wide variety of food items quickly in the same machine. Another benefit of the new design is that it uses less energy than a conventional oven. It also features a re-designed and easy-to-read control panel that will store cooking instructions for up to 360 menu items, ensuring your dishes get cooked consistently no matter who is cooking. The MXP 22 works great for theatres, pizzerias, convenience stores, snack bars, stadiums and more. For more information on this great looking new product visit the ACP website.